WhatsApp Web latest version is a popular Internet Messenger for making free calls and sending free messages. This free download is a complete standalone installer for Windows 32bit and 64bit. WhatsApp is a reliable service that provides best features for sending free messages and making audio calls around the globe. It is a favourite Internet Messaging service that is trusted by millions of people. You can share your files without any service charges. This messenger was designed for Mobile devices but with the passage of time and increasing demand of the users, the developers decided to launch the Windows version. As the mobile version, it is also reliable and provides the complete support for communication. To use it only a single account is enough to use with desktop and PC, you don’t need to setup different accounts for separate devices. When setting up an account for whatsApp you need to verify your phone number in order to use your phone number as your identity. Phone verification is also needed as a security concern. With a perfect user-friendly environment, you will take no time for getting used to this application. It is compatible with all the latest versions of Windows, including Windows 8 and Windows 10. It requires an active internet connection and an account for making unlimited free calls and messages. The devices will be synchronized perfectly if you use same accounts. 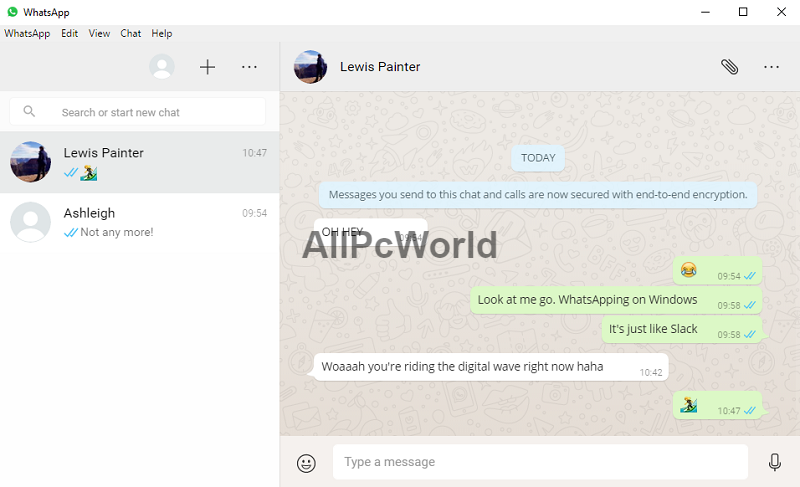 Click the links provided below to download the standalone installer of the latest version of WhatsApp Web for Windows 32bit and 64bit. This installer is compatible with all the latest versions of Windows.